Courtesy Second Annual Summer Tasting Series at Four Seasons Resort The Biltmore Santa Barbara. Four Seasons Resort The Biltmore Santa Barbara’s Summer Tasting Series returns on May 19 with a new lineup of the best local purveyors, distillers and winemakers. The series kicks off on Friday, from 6-9 p.m. with MASTER DISTILLERS. This first event takes place in the beautiful garden overlooking Butterfly Beach, where lucky guests will taste the local Master Distiller’s best bourbon, whiskey and vodka creatively added to select specialty cocktails. The cocktails are paired with house-made pastas, dry aged carpaccio, signature seafood and salami. The series continues of June 16 with POP! BUBBLES, a special selection of still and sparkling rosé wines to be sipped and slurped seaside at the Coral Casino Beach and Cabana Club with oysters shucked to order, fresh local seafood and sunsets over the Pacific. Then on July 21 its RED, WHITE & BREW. What could be more patriotic than a refreshing summer celebration featuring the country’s favorite beverage: beer. Four Seasons Resort The Biltmore has teamed up with local microbreweries to present a Santa Barbara take on beer alongside savory barbecue bites. FERRAGOSTO FESTIVAL is on August 11. A celebrated festival in Italy, Ferragosto comes to the ocean front Coral Casino Beach and Cabana Club with a tasting of local white wines and an Italian inspired fritto misto bar. 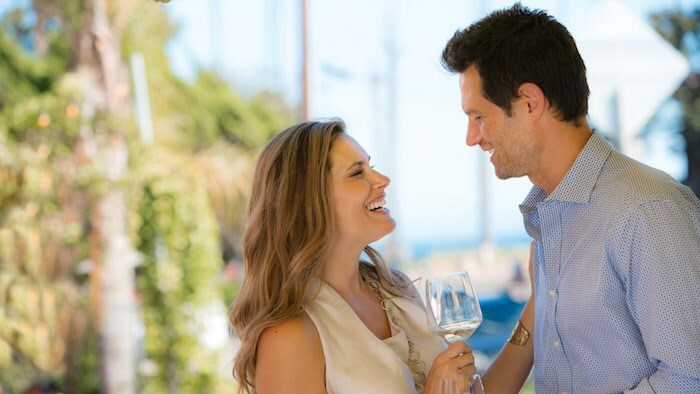 The series ends on September 22 with HARVEST CRUSH, where guests will celebrate harvest with signature varietals from Santa Barbara wine country. Get in the mood for harvest with tastings from local vineyards as well as a pig roast complimented with harvest vegetables. Events are $78 each or receive a three event bundle discount of 20% ($187 for three of your choice). Please call 805/565-8232 to purchase tickets. Price subject to sales tax and service charge. All events are from 6-9 p.m. at the Four Seasons Resort The Biltmore Santa Barbara, 1260 Chanel Dr. Originally published in Santa Barbara Seasons on May 19, 2017.